● You can get discounts when you shop Clarisonic by sets—get $34 off Pores Beware set, get $75 off Sea Breeze PLUS Set, and more. ● Join the Sonic Savings Subscription program and save up to 20% on brush heads, cleansers, and serums. ● Clarisonic has an ongoing free ground shipping promo for delivery addresses within the continental US. ● Clarisonic has a 90-day, 100% money back guarantee program. If you’re dissatisfied with your order, you can call Clarisonic’s customer service and they’ll make arrangements for the return. Dirt and grime are two of the most concerning elements that affect the condition of your skin and you'll want to make sure that you're able to cleanse your face and body of any excess dirt in your pores. Clarisonic is a battery operated beauty utensil that gives customers the ability to thoroughly cleanse their skin. On the website you can take a look at the different brush heads that they have, the devices that are available, and any special offers to help you save on your total purchase. They have skincare items for both women and men available online. 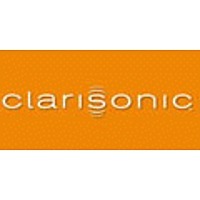 For most up to date offers check out Clarisonic on Facebook and Twitter or contact Clarisonic Support for any questions.